The administration at Arthur L. Johnson High School in Clark, New Jersey, is investigating an incident where a visiting girls' basketball team was met with a racist message at a Saturday morning game. According to Courier News and Home Tribune, the Plainfield High School girls' basketball team arrived at Arthur L. Johnson High, where less than 1% of the community is black, and found a black dummy in the school's changing room. The dummy was hung from its neck with a string and was tied to a fake basketball. The eyes were bulging out of the dummy's head and the mouth looked as if it was gasping for air. 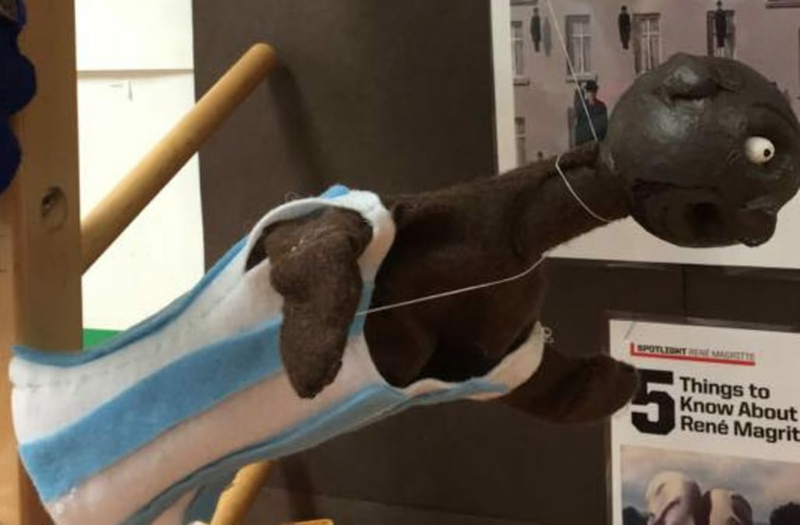 "We have been made aware that a picture taken by the coach or a member of the Plainfield girls' basketball team has been posted on social media of a puppet that was reportedly posed in a classroom located in the Clark Public Schools," Edward Grande, superintendent of Clark Public Schools, told Courier News. "The Clark Board of Education and the Clark community does not condone any demonstrations of intolerance." The harrowing treatment might have affected Plainfield High School's basketball team when they lost 64-20. They reportedly left the school immediately after the game. Plainfield High School is located in a predominantly black community. "It is premature to make any further statements until such time as the investigation is completed," Grande said. "Good sportsmanship and respect of fellow and opponent teammates has and will always continue to be an integral part of Crusader Athletics." This is not the first time students in Plainfield, New Jersey, have been met with blatant racism at a another school. In September 2014, North Plainfield High football players were taunted with bananas at Summit High School. "Right away, there was a banana in the door," North Plainfield football player J.T. Valley told WCBS. "And we told our coach, we're like, 'Coach, there's a banana in there.' So we took the banana, and then all of a sudden, they put another one. And we took the banana out, and there was another one in there. And they kept on putting them in there." Plainfield High School and Arthur L. Johnson High School administrators have not yet responded to Mic's request for comment.